Club Cheer offers several Tumbling Classes from Beginner-Advanced. Level One Tumbling- Intro to Forward Rolls, Cartwheels Handstand. Mastery in Front & Backwalkovers Level 2 Tumbling- Front & Back Walkover Required. Intro to Backhandspring. Level 3/4 Tumbling- Backhandspring Required. Intro to Tucks, Layouts, Aerials & Full Twisting Tumbling. These Teams require a Commitment from your Athlete. Practices are held several hours a week in preparation for the some of the Biggest Competitions across Texas. Competitive Ages 5-18. We offer 2 Teams for our Younger Athletes not quite ready for that Competition Level but would like to learn more about the Sport of Cheer. 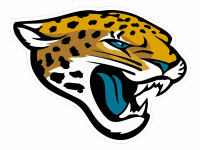 We have a Micro Jag Team Ages 3-5 and our Mini Jag Team Ages 6-9. Come Learn Cheerleading Skills While Having So Much Fun!